Disrespect and abuse during childbirth can include physical abuse, non-consented care, poor rapport between women and providers, stigma, and discrimination. However, “the absence of disrespect and abuse is not the same as respectful maternity care…it would be possible to refrain from disrespect and abusive treatment and still not be particularly kind and respectful,” said Jolivet. What exactly does respectful maternity care look like? So what exactly does respectful maternity care look like? In a human rights-based framework, it is defined specifically by the presence of strong communication, respect and dignity, emotional support, and motivated personnel, according to WHO standards for improving quality maternal and newborn care in health facilities. However, “what is perceived as respectful is subjective and may vary across settings,” said Jolivet; therefore we need more women-centered participatory research. Partners in Health (PIH), in conjunction with Ariadne Labs, is using the World Health Organization (WHO) Safe Childbirth Checklist in Chiapas, Mexico. PIH’s interventions include transporting pregnant women and their companions to and from health facilities, providing them with food and lodging, and creating a “culture of respect and dignity for women who come to deliver at the hospital,” said Molina. Before these services, many of the women in Chiapas felt they had little information on the details of their pregnancy, she said, and coordinators have found that communication helped to bridge this gap. Many mothers report feeling a lack of autonomy in decision-making during their pregnancy and the birth, according to a study (2017) conducted by Birth Place Lab in British Columbia. The large majority of women (95.1 percent) who participated in the study, said Vedam, felt it was important that they lead the decisions about their pregnancies and child care. Feelings of autonomy and respect were consistently low for women who gave birth in hospitals, and feelings of disrespect and abuse were often higher for Latina/Hispanic women, Black women, and other women of color. 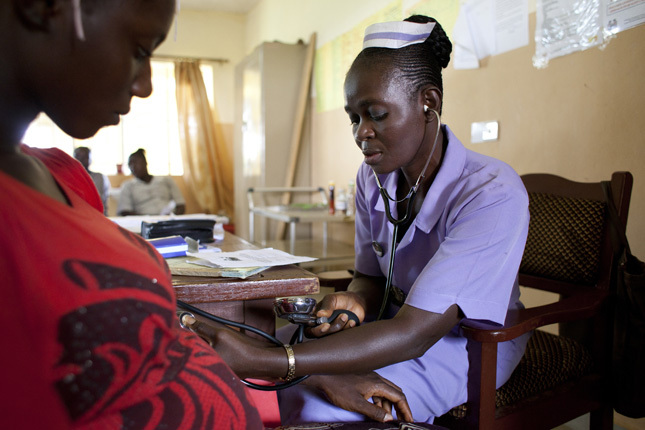 Through increased communication with patients and providers on patients’ rights during pregnancy and childbirth, respectful maternity care is possible. Sando reported positive responses to an initiative piloted in Tanzania called “Open Birth Days,” which focused on improving women’s awareness of their rights and providers’ commitment to ethics in the workplace. We need to “name the problem, start the dialogue, and engage stakeholders” to move towards a solution to disrespectful maternal care, he said.